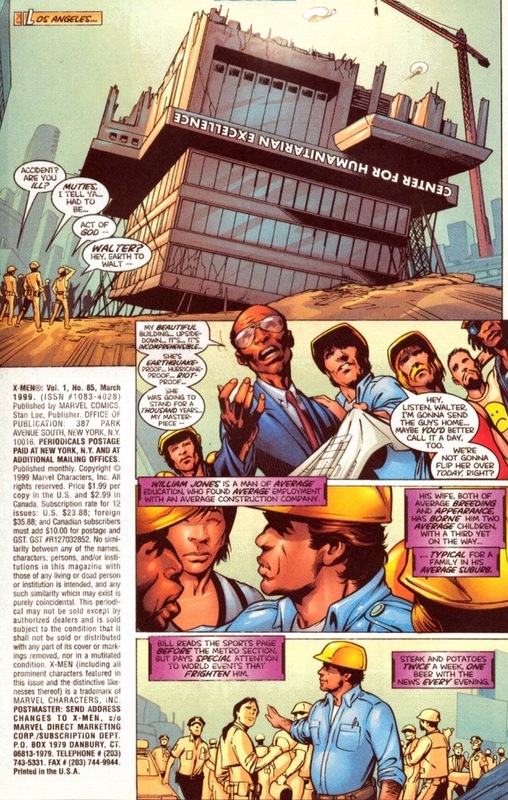 So a little detour to start us off, but remember last article when Magneto locked the Nazi Red Skull in a hidden bunker, never to be heard from or seen again? 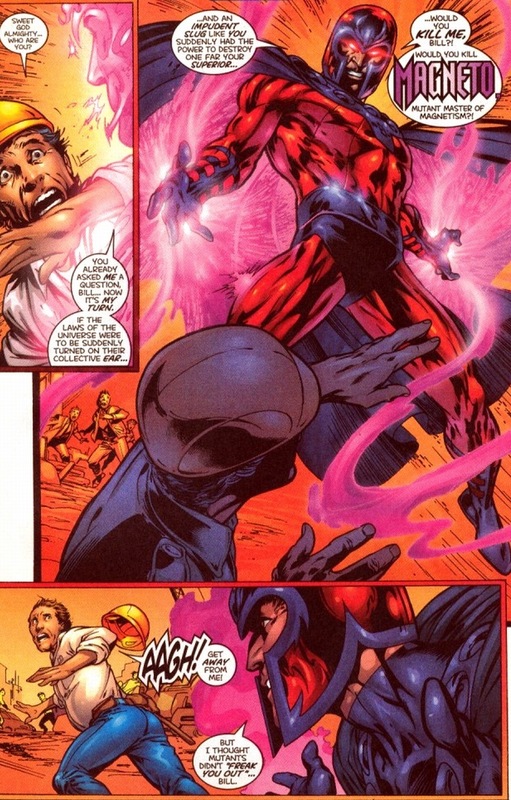 While punches and flying shields can cause Red Skull physical pain, nothing compares to Magneto’s emotional punishment. 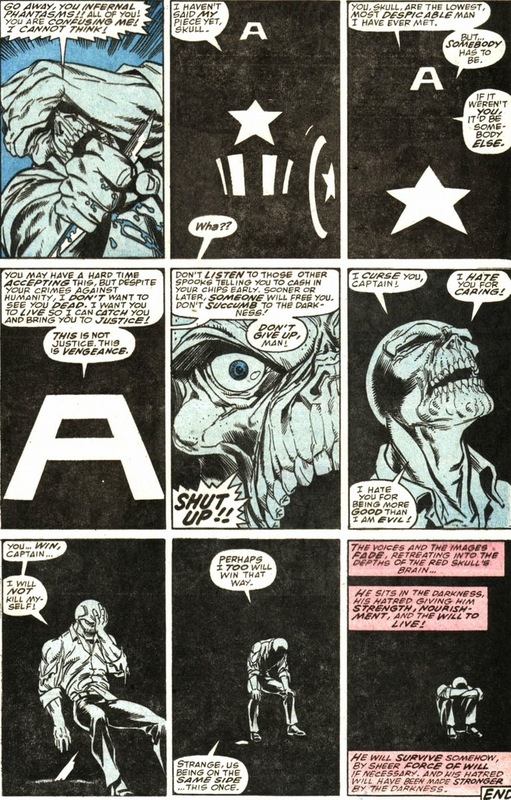 Sitting in that dark silent bunker with no food and only a little water, our spiteful Nazi has plenty of time to sit, hallucinate, and contemplate his life’s decisions in Captain America #369-370, written by Mark Gruenwald and drawn by Ron Lim. Can you detect an upcoming theme? I mean, no one knows where he is and Red Skull has no way to signal for help. Though you claim suicide as the coward’s way out, you know who else committed suicide? 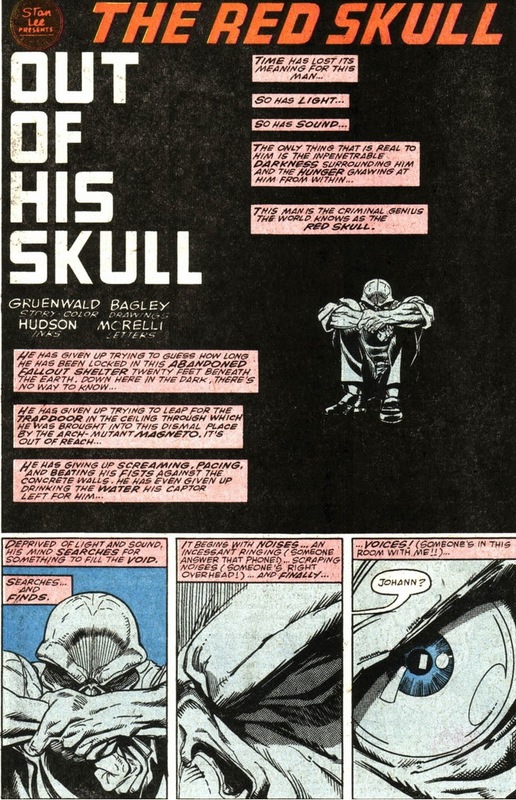 Over the next few decades, Red Skull’s disembodies hallucinations have branched out on their own. 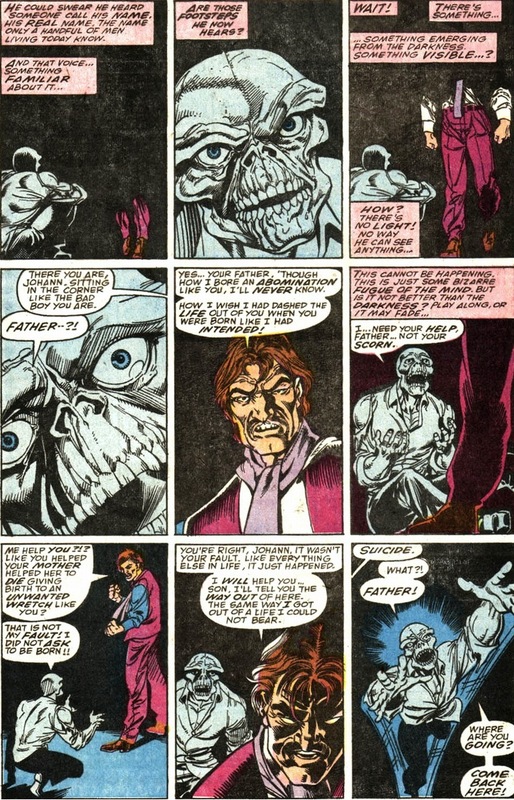 His daughter becomes Sin and later the next Red Skull. Arnim Zola develops an entire alternative dimension and even fathered/created a few kids. Though luckily, no Hitler developments. He gets rescued next issue. Let’s not worry about how. Anyway, let’s continue onto our main event. 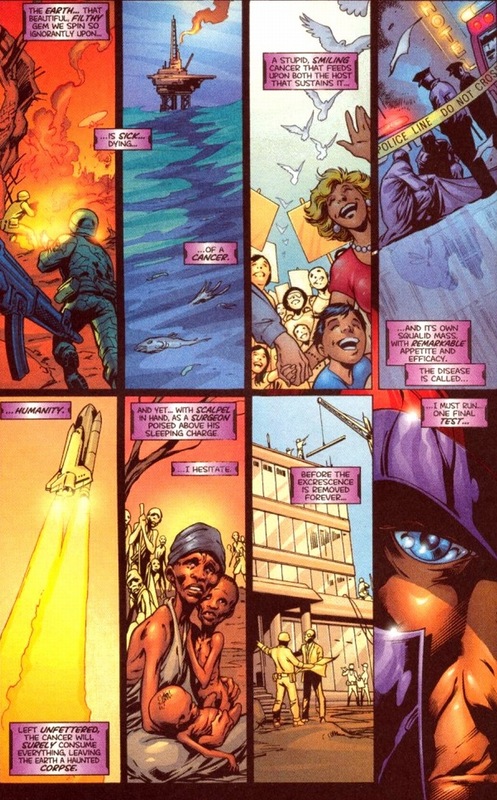 Y’see, Magneto’s philosophies have changed over the years as our culture and times have evolved. He remains in that tiny category of supervillains who happen to be simultaneously sympathetic and evil (Mr. 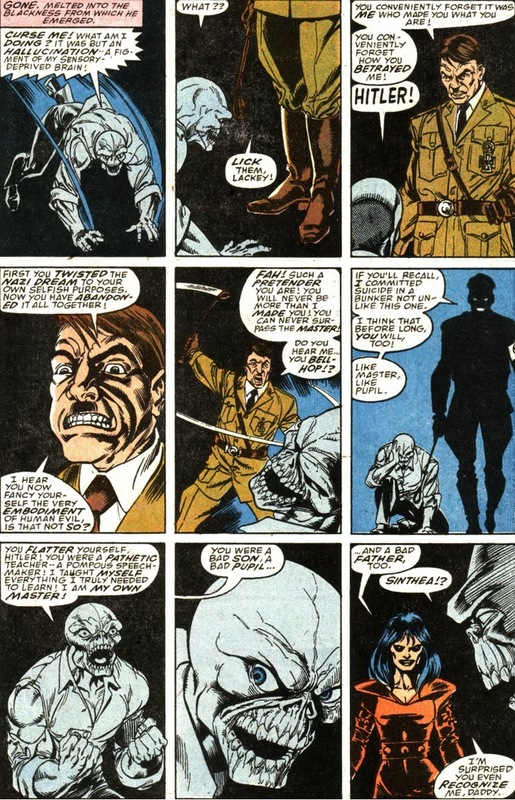 Freeze, Bane, Man-Bat, Two-Face — really most of Batman’s rogue gallery). 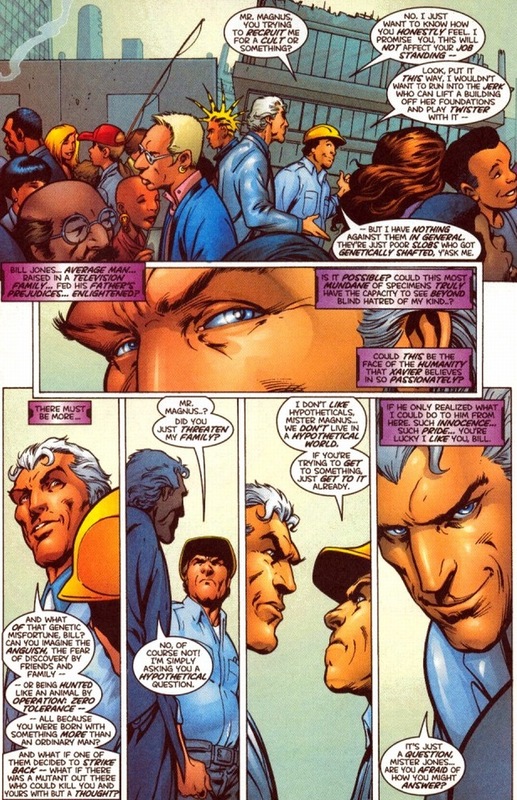 In X-Men #85, volume 2, written by Joe Kelly and drawn by Alan Davis, our featured supervillain attempts to satisfy both his desires and morals. 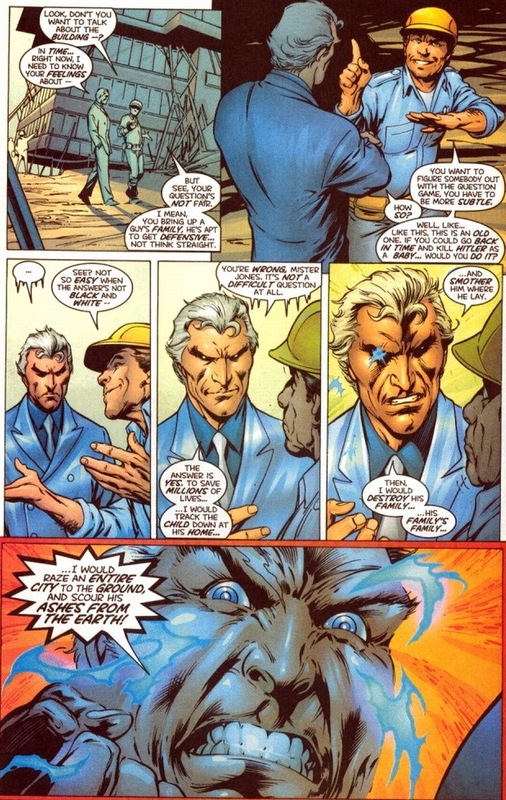 I’d like to tell you that Bill Jones argues an exciting and suspenseful battle of words with the disguised Magneto. By not revealing that information, I could definitely amp up the suspense. 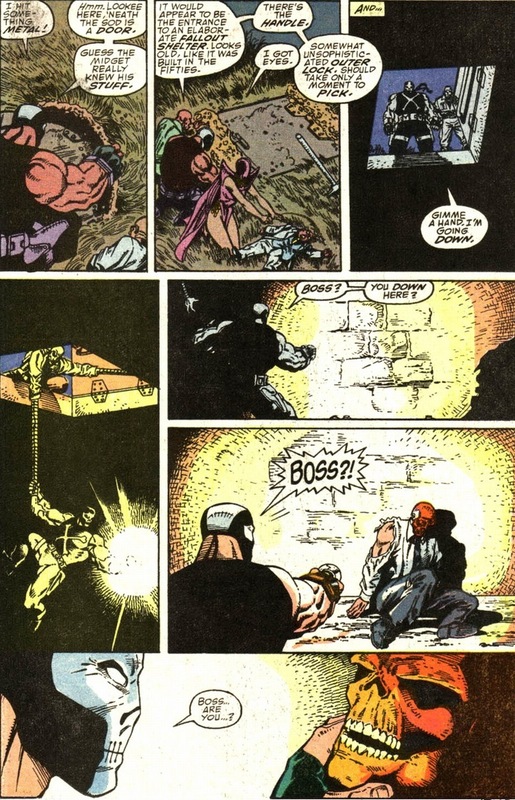 But look, dear Bill Jones doesn’t stand a chance — Magneto stacked the deck against him from the very beginning. 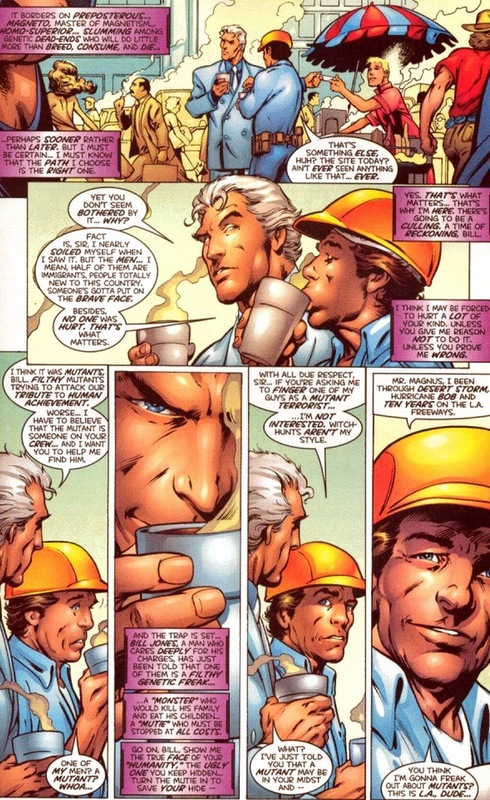 Magneto’s cheating, and even Magneto himself doesn’t realize it yet. You think Bill Jones scored a knockout punch, right? The most average man in the city unfortunately holds no hatred in his heart for the filthy genetic freaks that’ll kill his family and eat his children. But as the bell rings to start round two, Magneto brings out the big guns. Poor Bill Jones didn’t realize that Hitler’s a sore spot for Magneto. As you can imagine, the game goes in a different direction. 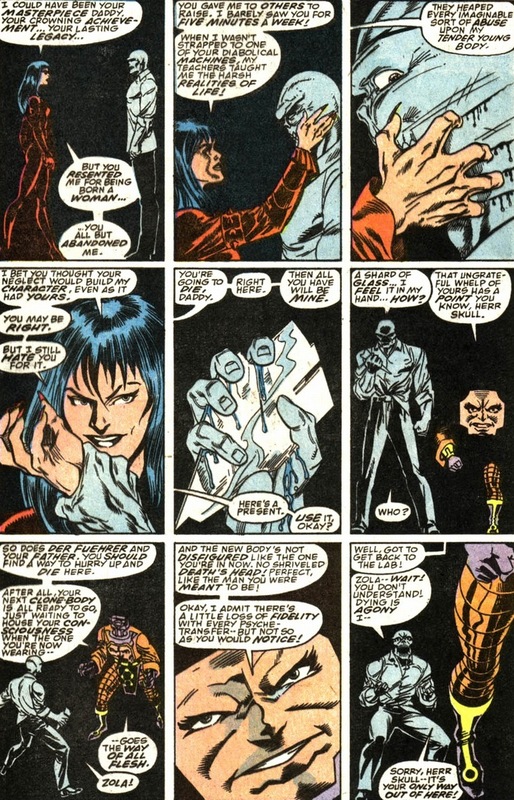 If reason and logic won’t convince Magneto that he’s right, then he’ll stick to what he knows — fear and bitterness. 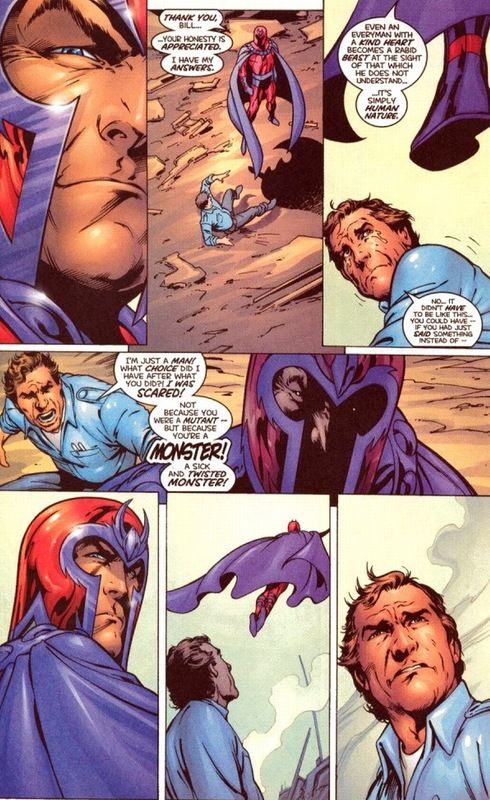 Now Magneto’s cheating. See? 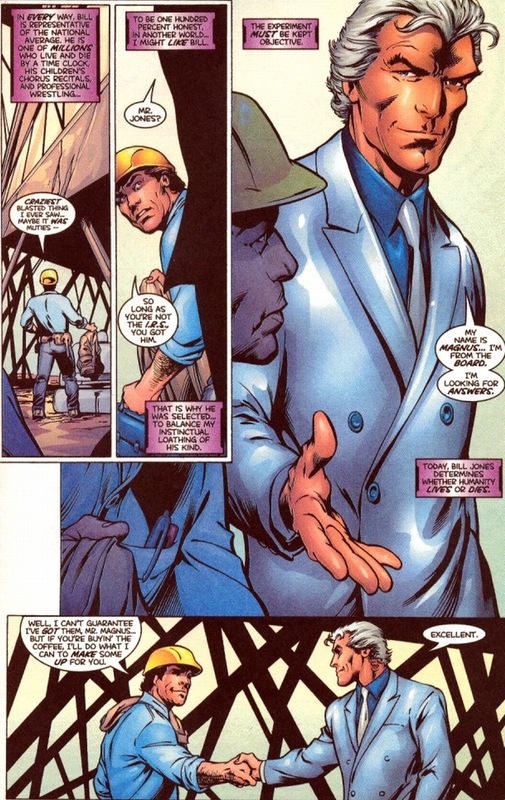 That’s what makes this issue genius: Magneto simply manipulated the situation until he received the answer he wanted, instead of accepting that maybe his ideals aren’t so accurate. 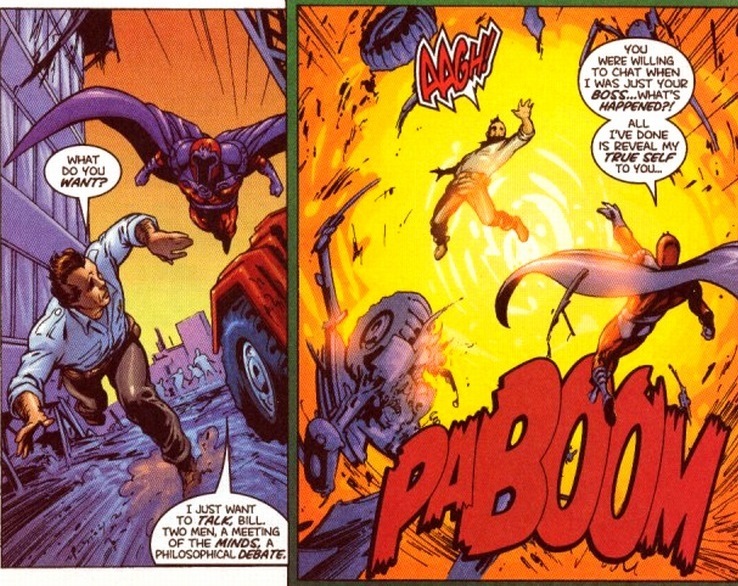 Supervillains tend to have a bit of an ego on them. And what about Bill Jones’ final cry? Surely Magneto must realize his mistakes. He’ll shake Bill Jones’ hand and apologize while maintaining eye contact. 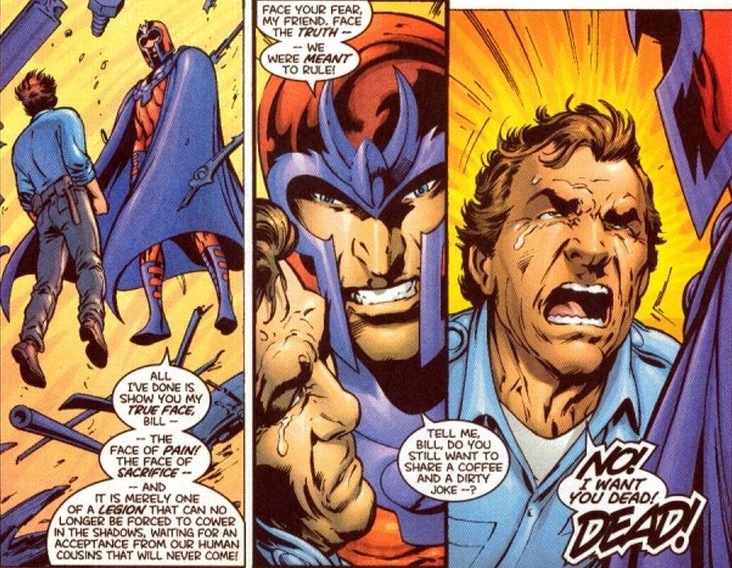 That’s the reasonable, intelligent decision after Magneto essentially poked Bill Jones until he yelled to stop. Right? 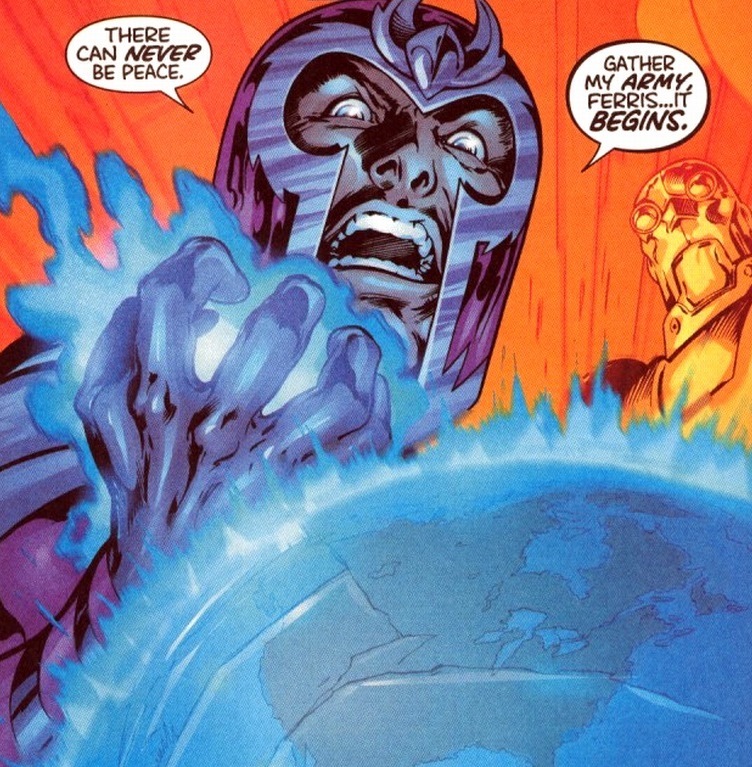 I think that very much applies to Magneto’s actions in this story.